Gantry crane | GH crane and hoist manufacturer. 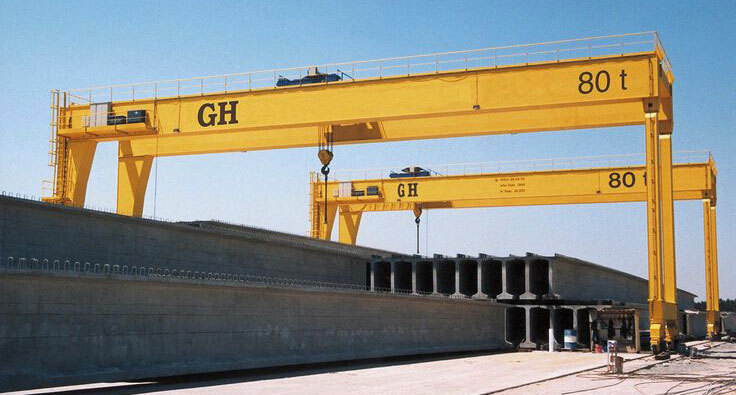 GH, European leader in design and manufacture of Gantry Cranes (Portal Cranes). turns us into the reference. 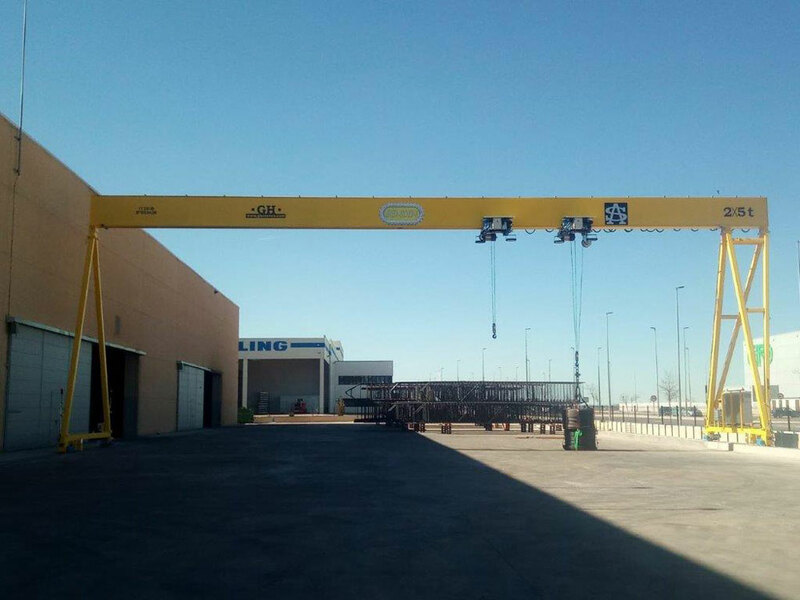 GH adapt his Gantry Cranes manufacturing process to the different customer´s requirements, taking care of which kind of work is going to performance. Our gained experience from 1958 backed up as specialists in Portal and Semi Portal Cranes. Unlike Overhead cranes, Gantry cranes have legs and move on runways which are usually on floor level. These cranes are highly efficient to work outdoos, achieving high speeds and capacities. Semi-gantry cranes are a very practical solution when it is not required to cover the entire width of the workshop. One side of the crane runs on elevated runway, while the runway for the other side is on ground level.